Pictured L-R: Auralex’s family of Sustain™ v2 Bamboo Sound Diffusors. Auralex Sustain Lens™ v2, Sustain Prism™ v2, Sustain QuadraTec™ v2, Sustain Pyramid™ v2 and Sustain Metro™ v2. Sustain Metro™ v2, from Auralex’s family of Sustain™ v2 Bamboo Sound Diffusors. Indianapolis, IN, August 31, 2015 – Auralex® Acoustics, Inc., the world’s leading brand of acoustical treatments, is now shipping enhanced “v2” models of the acclaimed and popular Sustain™ Bamboo Sound Diffusors. The new and improved design is based on customer input and extensive testing. 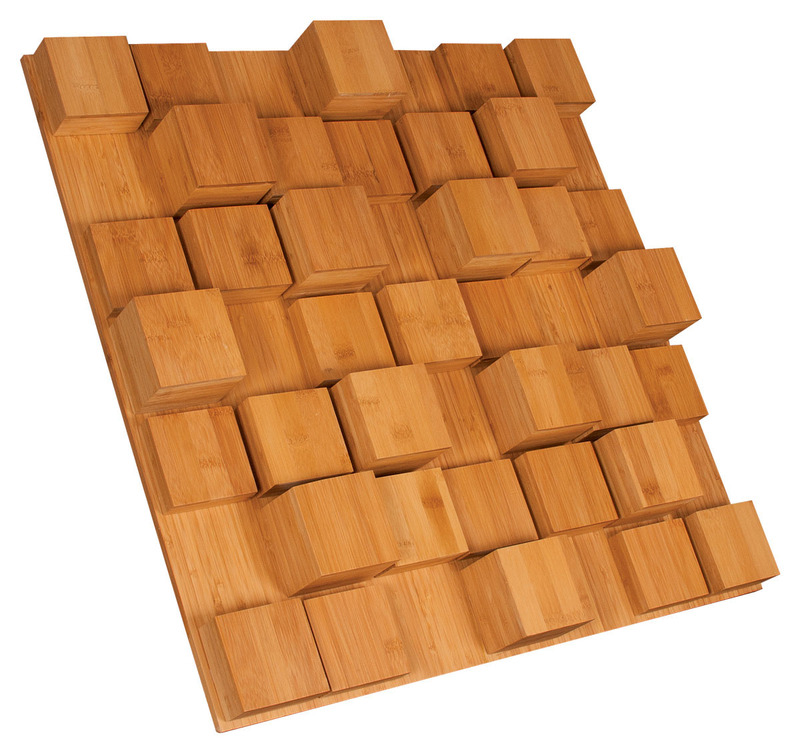 These handmade, environmentally friendly bamboo sound diffusors offer increased performance and exceptional craftsmanship and aesthetics to complement any space. They feature sharper angles and updated construction that enhances the premium performance that these diffusors are known for. In addition to enhanced v2’s of the popular Sustain Prism™, Sustain Lens™, Sustain QuadraTec™ and Sustain Pyramid™, Auralex is offering the new Sustain Metro™ Bamboo diffusor. The Sustain Metro™ adds a contemporary cityscape aesthetic to your space, while its exacting design eliminates flutter echoes and evenly disperses acoustical energy throughout your environment. Photo Caption 1: Pictured L-R: Auralex’s family of Sustain™ v2 Bamboo Sound Diffusors. Auralex Sustain Lens™ v2, Sustain Prism™ v2, Sustain QuadraTec™ v2, Sustain Pyramid™ v2 and Sustain Metro™ v2. Photo Caption 2: Sustain Metro™ v2, from Auralex’s family of Sustain™ v2 Bamboo Sound Diffusors.